Fukushima Children’s Fund has received donations from overseas supporters, and we sincerely thank you for their contribution and cooperation. Due to their generous help, we introduce some of them below. 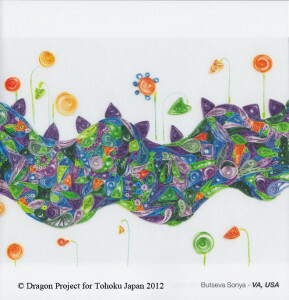 The “Dragon Project” is an art project for the children who experienced the Tohoku, north east Japan earthquake. A lot of people responded to the project organizers’ call for sending a piece of paintings or photos in a shape of dragon to finally compose one big dragon image; after that the organizers have completed a huge dragon image with one piece each sent from those people in Japan as well as from overseas. They did this hoping the gigantic dragon would finally fly to Japan and protect the children in Japan as their guardian deity. 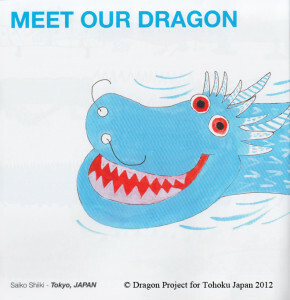 Why a dragon? This is because they started this charity for the children who live in the disasters stricken area in the year of the dragon in the Oriental zodiac calendar. The project was founded by Ms. Touko Shiiki, a photographer who lives in the US and Ms. Nino Trentinella, a painter in Australia. 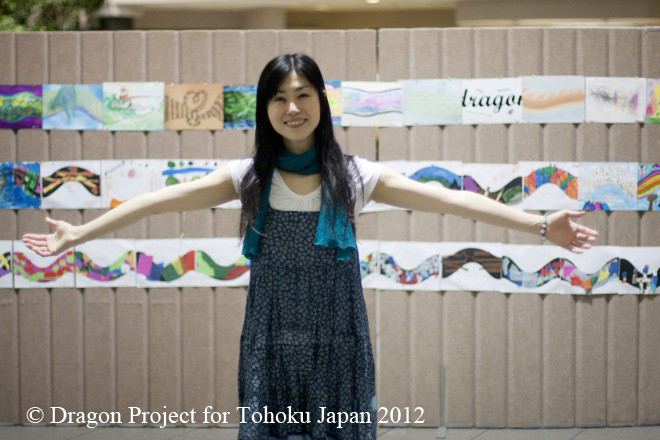 She held charity exhibitions in the US and sent the admission fees as a donation for the children in Fukushima. 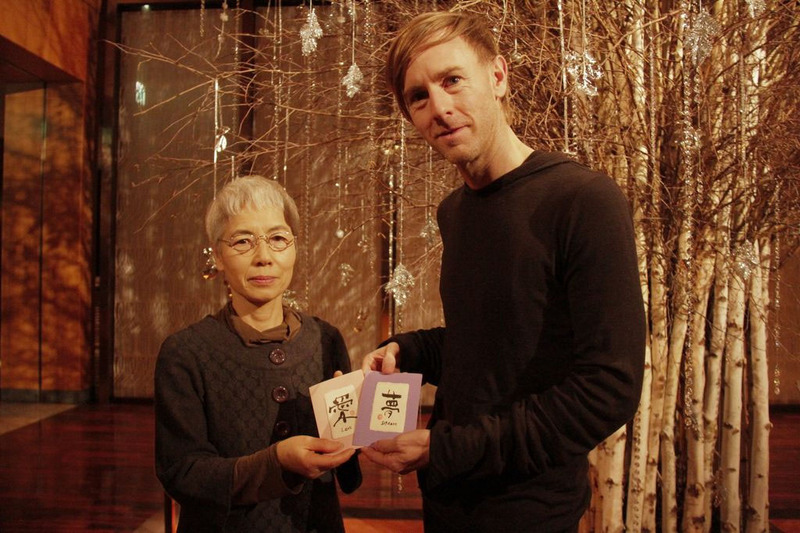 Mr. Richie Hawtin, a German electronic musician, handed us his donation and messages during his stay in Japan. Ms. S, one of our fellow members and a constant donor, let him know about the Fukushima Children’s Fund. We appreciate him relaying our idea to Mr. Hawtin. 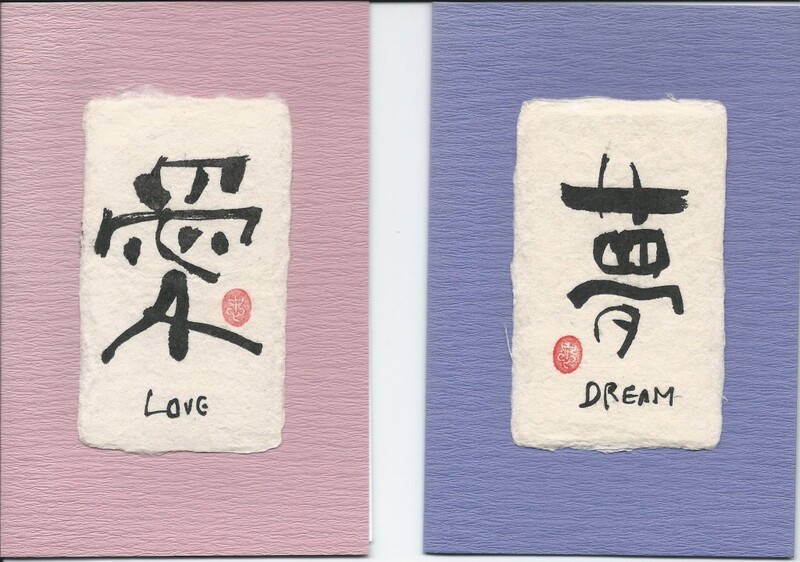 We received a donation and messages from ‘Kizuna Japon’ Canada. The head of the group, Ms. Ryoko Hashizume is from Iwaki city, Fukushima Pref. She said “Kizuna Japon was founded by the Japanese parents who are wishing to hand down Japanese language proficiency to their children. 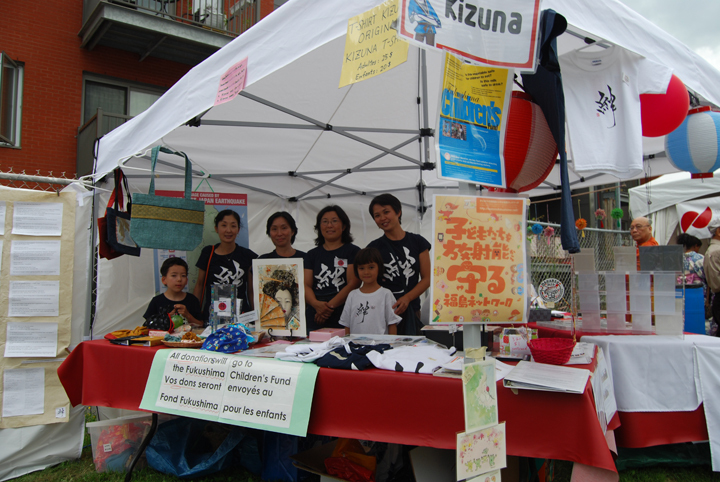 By joining in the ‘Matsuri Japon’ festival held in Montreal, we sold charity goods and talked about the lingering Fukushima nuclear disaster which is not yet under control. We also talked about the environment of Fukushima where residents can’t help but be exposed to radiation all the time and about the necessity of recuperation treatments in cleaner places. *She sent us 100,000 Denmark krone, about 1.65 million yen. Ms. Awata teaches Japanese calligraphy at her ‘Let’s enjoy learning calligraphy, Tanoshimima-shodo’ class at the Paris branch of the Japan Calligraphy Academy. I’ve been operating an institution called ‘Studio BPM NYC’ with my friends in New York in the US. I’m now collecting donations through a fund-raising campaign, Studio BPM for Japan, as well.